Home News Autumn Autumn color to peak Oct. 1-10 in Tucker County, W.Va. 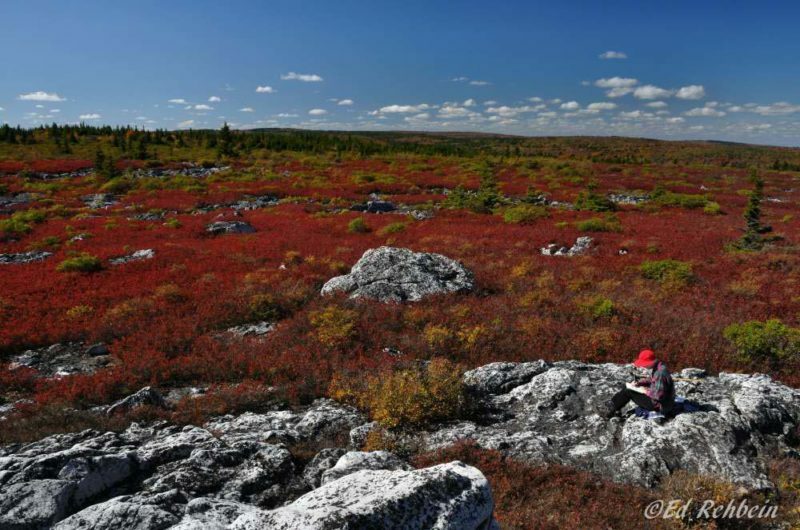 Autumn color to peak Oct. 1-10 in Tucker County, W.Va.
Blueberry bushes on Dolly Sods burst into flame by mid-September. Photo by Ed Rehbein. Fall color in high-elevation Tucker County will peak during the first ten days of October, says Brian Sarfino, who’s worked to determine exact schedules for autumn leaf change at Dolly Sods and in the Canaan Valley in West Virginia’s Allegheny Highlands. “Peak fall foliage comes in the first ten days of October. This is the best, most accurate advice I have ever received,” says Sarfino, marketing manager for the Tucker County Convention and Visitors Bureau. Sarfino chronicled the leaf-change and its particulars across the region this week in a blog post in advance of the county’s Leaf-Peeper’s Festival Sept. 28-30 in Davis, W.Va. 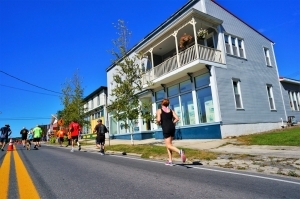 Runners at Davis, West Virginia. More than 3,000 leaf-peepers are expected to return to the highlands to celebrate the festival with outdoor events such as bike tours, a 5K race/walk, a golf tournament, Oktoberfest, and the Appalachian Craft & Food Fair. Live music, a car show, a talent show, inflatable amusement rides, and all the trappings of a spectacular community fair will also be on hand. Sarfino says he feels sure the Tucker County region is among the most vibrant in the eastern U.S. in autumn, thanks to lofty elevations and the blend of trees there. “At elevations above 3,000 feet there is a homogenization of northern hardwood and southern hardwood trees. Think of it as Canada meets North Carolina. The colors are spectacular, and scenery is uninterrupted as far as the eye can see,” Sarfino says. 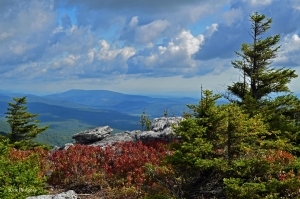 For more information on the Leaf Peeper’s Festival and Tucker County attractions, including Dolly Sods, Canaan Valley, and Blackwater Falls, visit the Tucker County Convention and Visitors Bureau website. Thanks to the completion of new sections of the U.S. 48 expressway to Davis, Tucker County is now a drive of less than three hours from downtown Washington, D.C., Sarfino says. Learn more about: fall color schedules in Tucker County.